Welcome to The Brown Girls Guide to Politics -- the one stop shop for women of color who want to hear and talk about the world of politics. Host A’shanti Gholar leads conversations with women changing the face of politics. Episodes include interviews with politicians, candidates, and influencers. Get ready for roundtables analyzing current events, and more! 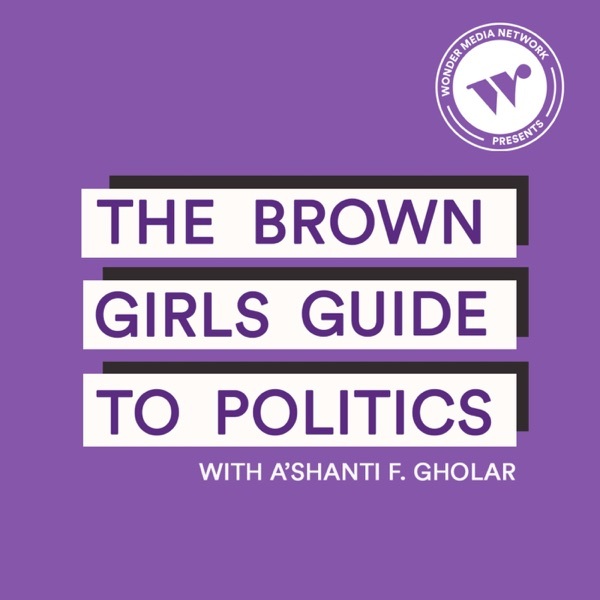 The Brown Girl's Guide to Politics Podcast is all about amplifying the voices of women who are too often forgotten in most media coverage. This year was a record year for women of color running for -- and being elected to -- office. In the BGG to Politics blog, A’shanti Gholar created a space for women of color to learn about the current state of women in politics, to support others breaking into the political sphere, and to celebrate incredible people changing the course of the country. Gholar founded the blog last year and Wonder Media Network is thrilled to extend her platform to audio. Kiah Morris: "That is the strength we carry." Welcome to The Brown Girls Guide to Politics -- the one stop shop for women of color who want to hear and talk about the world of politics. On this episode, Host A’shanti Gholar talks to Kiah Morris, a former state representative of Vermont. They talk about the reality of public scrutiny, the urgency of change, and the strength we all carry. Welcome to The Brown Girls Guide to Politics -- the one stop shop for women of color who want to hear and talk about the world of politics. On this episode, Host A’shanti Gholar talks to Deb Haaland, U.S. Representative for New Mexico’s 1st district. They talk about addiction, the promise of hard work, and standing up to discrimination. Welcome to The Brown Girls Guide to Politics -- the one stop shop for women of color who want to hear and talk about the world of politics. On this episode, Host A’shanti Gholar talks to Aimee Allison, president of Democracy in Color. They talk about multiculturalism, sister circles, and feeling called to serve.